I've spent the last couple of days at IQPC / Shared Service & Outsourcing Network's HR Transformation in Brussels where I've been speaking. I've not been back to this hotel since Teneo's Talent Management Summit in 2013 and realised once I'd sat down that I'd brought with me one of their red pens - impressive durability! 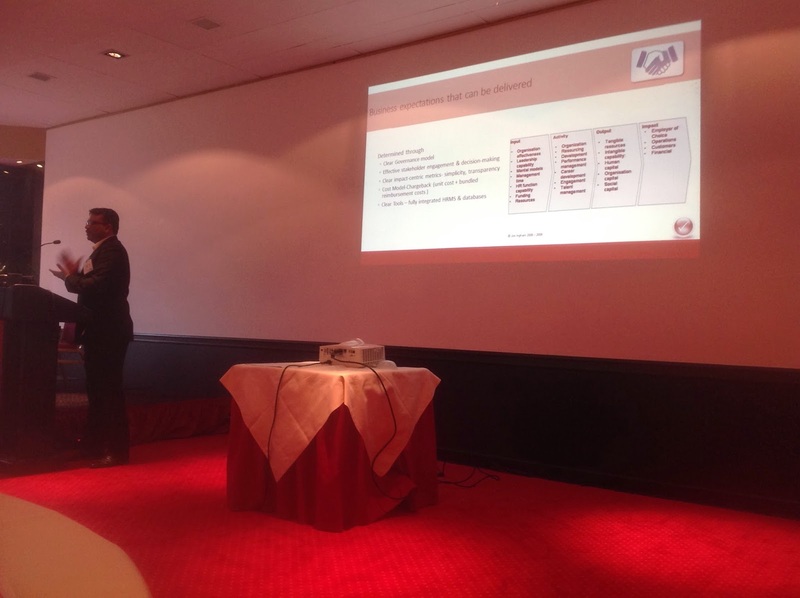 We had a big focus on financial services (including Dexia, Skandinaviska Enskilda Banken, Barclays, ABN AMRCO etc) which meant lots of sessions looking at the aftermath of the recession - most powerfully in connection with Dexia's downsizing from 30,000 to 1,300 employees. I'll be blogging more about HR transformation early next week and will follow-up with some notes from my own session too. Analytics can be used to confirm our understanding about the way that our particular HR practices and organisations work. Common examples include identifying the most important talent in a business and how these people can be recruited, managed and paid more effectively. Analytics can also be used to add further intelligence to the metrics and KPIs which have been chosen to help monitor new workforce strategies. Whether or not you believe that HR needs to become a data science there is no doubt that we need to make better use of data at our disposal. Attend this 2-day master class to learn how HR analytics can be developed in a way that helps to drive the success of your HR strategy, your people and the organisation. Come along if you can or let me know if you just want to meet up. 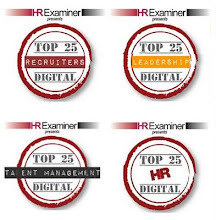 Most of the posts in this blog deal with the huge transformation underway within HR at the moment. Obviously, and given the scale of this transformation, our own capabilities need to change alongside this too. My own capability development programme - areas I'm still fairly to new to, or are just finding out more about - includes innovation, story telling, graphic facilitation, design thinking, new technologies, coding, R, behavioural economics and neuroscience. 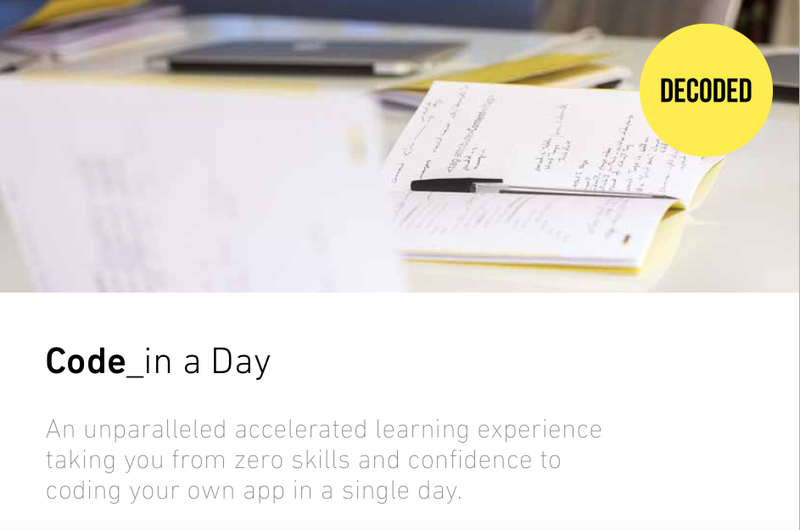 But on Friday I'm stepping back into the learner seat of a classroom based training session for the first time for a while (albeit a very modern one with MacBook Airs etc) to do a spot of coding with Decoded on their Code in a Day course. I actually learnt to code in Cobol nearly 30 years ago - mainly in St Charles, just outside Chicago (I'm sure there'll be a few other former Androids or former / current Accenturoids? amongst my readers who remember the Hard Code experience too.) Ah, the joys of batch processing! Or I could go back even further to learning Fortran as part of my Engineering degree or Basic before that. And the main reason I'm taking the session is that I often tell recruiters and trainers that this is the new world. Who cares if you can deliver a course or design a job advert these days? (I'm exaggerating clearly) but if you can design, or at least understand, the basics of a recruitment or development app then that's still something to take notice of. The need applies in other areas of business as well as course - and my wife, who is a marketeer, actually attended the training last week - she's blogged about it here on our company's new (actually largely unfinished) website, which she'll now be much better positioned to finish off. So of course that's another reason for HR to know their functions from their variables - so that they're better positioned to help the development of the rest of their employees too. 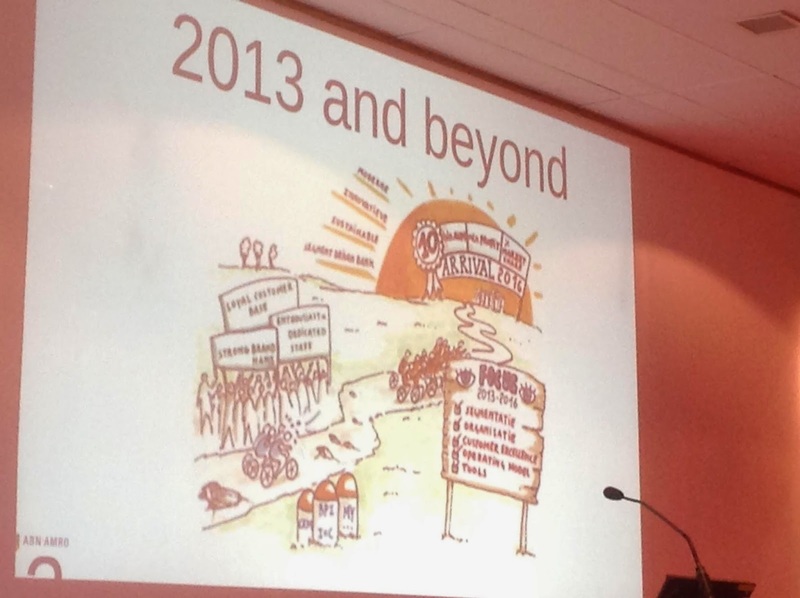 And after Friday I'll be better places to help HR practitioners think about your capability development programmes. 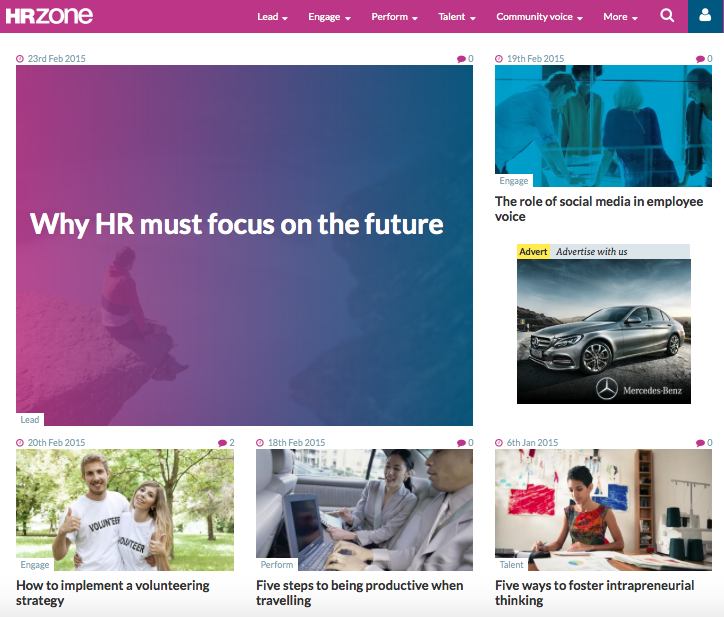 HRZone have launched a great new site this week and to support it, I was asked to input something future focused - the result is an article explaining why we do need to focus on the future, or futures, as I think there will be, or should be, multiple versions of this, and a suggestion for why navel gazing, not analytics, is a necessary part of this. 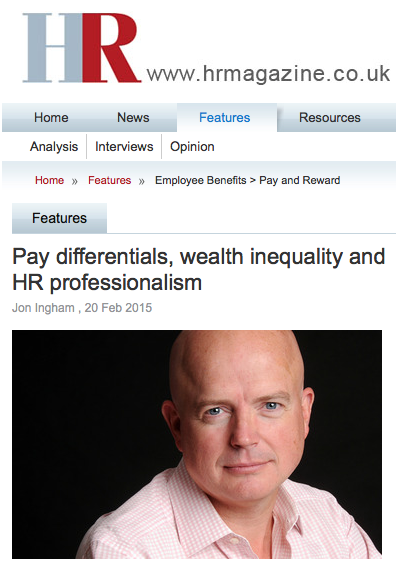 I hope you enjoyed my post and linked article on pay differentials. I now want to focus on the broader issue I also referred to which is wealth inequality, This may be a harder issue to impact as HR practitioners, as most of the increase in inequality is due to appreciating assets rather than high reward though I think I have a solution to this! - see below. However I wanted to start with a few more thoughts on the issue. Firstly I think the big issues, here, as with pay differentials, are trust and collaboration. Today’s huge inequalities destroys the fabric of society and stops people working with each other effectively. There are of course other issues too, particularly around economic inefficiency. Very wealthy people run out of sensible things to spend money on. So they keep more of their money, meaning that there is less in circulation, putting brake on the economy and reducing any trickle down effect (which is largely theoretical anyway.) This keeps everybody’s wealth lower than it would be if the wealth was more evenly distributed. But I still think reduction in trust and collaboration are more important problems. I remember in Jaques Peretti's excellent BBC documentary on the super rich that a woman polo player was suggesting that concern about inequality in society is all down to envy and lack of understanding of how hard rich people work. Well it’s true that there is envy. We are human and part of what it means to be human is that we don’t always think positively about each other. We should try to improve this. But envy isn’t going to go away, it’s real, it exists and we need to manage society in a way that recognises this. Huge inequality leads to many people being envious which isn’t a healthy or productive state. We can’t tackle envy and therefore we need to reduce inequality. The point about hard working rich people simply isn’t worth responding to. In terms of how we respond to the issue, I support proposals made by Thomas Pikety and others to increase tax on wealth rather than just incomes. However we are still left with the problems that many of the the rich don’t want to pay eg Griff Rees Jones threatening to move out of the UK if his pad in Fitzrovia becomes subject to a mansion tax. The most repugnant thing I’ve seen on this was Lord Bell on Channel 4 News complaining that proceeds from higher taxation just ‘get wasted’ (waste presumably being anything that isn’t spent on him.) This, together with the control that wealthy people have over society, means that no government, at least in the UK, is going to do much to change the status quo. This leaves individual philanthropy which has obviously got to be encouraged. The most important initiative in this area is the Giving Pledge, founded by Bill Gates and Warren Buffet and requiring wealthy individuals to commit to giving more than half their wealth away during their lifetime or in their will. Some do even more eg Buffet has committed to giving away 99% of his wealth but he still uses an expensive private plane. Gates does amazing work in philanthropy but still has a $150m house on Lake Washington named Xanadu 2.0 and owns a private island in Belize. So whilst initiatives like this will have an impact they’re limited and long-term. How then do create a fairer society - and do so before more people start to take up their pitchforks? Well, the only way of making a difference that I can think of is to show the rich the way forward by demonstrating that we don’t value what they have and the way they’re living. At the moment they hold onto their money because they think we’re envious of what they have and aspire to be like them. No wonder they keep on doing what they’re doing. Speaking personally for a moment, I have no desire at all to be super wealthy. I see no advantage at all in having millions of pounds when other people are sleeping on the streets. In fact some years back I committed with my wife that if I ever become a much more successful consultant or speaker than I am now, or my daughter becomes a pop star, or marries a football player, or we just win the lottery etc, that the first thing we’ll do is give away the excess amounts we don’t need (which we’ve set at the future equivalent of £5m in 2013 terms). Given that wealth inequality is becoming ever greater and the issue therefore more and more important and also topical, with Barack Obama focusing on it in his State of the Union address; Mark Carney promoting inclusive capitalism; Justin Welby linking to to abuse and corruption; etc; etc; I thought it would be a good time to encourage other people - including you - to agree to follow the same approach. I’ve therefore set this up as a change.org petition. I somehow suspect this idea may not become massively popular - the current celebrity culture is just too strong for that. But it would be nice if it could be more than just me and my wife! 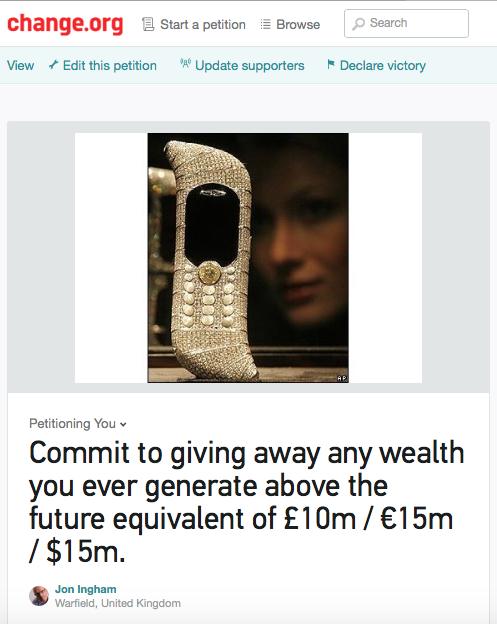 So if you’re willing to, please go over there to and sign up to commit to give anything you generate over £10m (to give you a little leeway) to a better cause than just yourself. 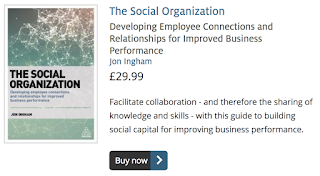 It won't cost most of you anything, at least not yet!, and could potentially play a role in creating a more equal planet - and productive organisations too. I posted yesterday on the arguments for introducing pay transparency, based upon a new survey from Glassdoor which I had commented on as their HR expert. I argued for transparency largely on the basis that if differentials are justifiable we should be able to justify them. However, one of the key reasons I think transparency would be useful is that I don’t think very high differentials are useful or appropriate, and think transparency would help to keep them in check. Trust. We know that trust has been decimated all around the world. The best global survey on trust, which you probably know about and hopefully look out for each year as I do, the Edelman Trust barometer shows trust falling this last year once again. In this environment it doesn't matter what the real reasons for high differentials are, they simply don't work. People will read arrogance, greed and self serving into the high pay, and disrespect and contempt into the low pay, even if these intents aren't there. Collaboration. The one type of relationship which has seen an upswing in trust during the 13 years or so which Edelman has been producing the barometer is the PLY - People Like Yourself - someone you have a personal connection too. This is hugely important because it provides the basis for trust, learning and collaboration. If you don't see someone as a PLY you're going to be much less likely to work with them, support them or learn from them. And what's the chance of seeing your CEO as a PLY is they're earning 130 times as much as you? 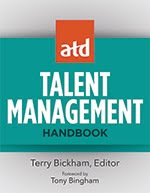 I’ve also written more about these issues in an article published by HR Magazine which you may want to take a look at. This article also pulls in my other recent blog post on HR professionalism. From a professionalism perspective, the fourth main reason we should be wanting to reduce differentials is because we care about people and society, not just the businesses we work within. Glassdoor have published findings from recent research into salary transparency. Headline conclusions are that transparency is already increasing with a healthy minority of staff already knowing their colleagues salaries and also that there is a significant appetite for more salary information. Actually the fact that HR can have its hands in the honey jar without any obvious dysfunctionality on our part is another great reason for not being so scared of transparency as we often seem to. But the biggest it's-already-happening reason for not just opening but dropping the kimono is that increasingly all of our salaries are on Glassdoor anyway. In fact the site alters its usual signature with this survey to suggest that 'Glassdoor helps job seekers circumvent salary secrecy' which of course it does, though it's not usually how it describes itself. However the even more important reason for making salaries transparent isn't anything about catching up with what's already happening but is simply that it makes good business sense. Managing pay transparency may be difficult to manage. People do tend to find it difficult to understand why some people get paid more than them which can lead to jealousy and dysfunctionality. But that puts more positive pressure on organisations to re-examine their pay levels and differentials (more on these tomorrow.) We should be able to justify our differentials and if we can't it probably means they are not justifiable. It's that sunlight is the best disinfectant point again. And actually it's not just how we feel about our differentials and need for transparency, it's how our employees feel about them. In an environment of reduced trust, employees are unlikely to believe we have fair differentials, particularly when equal pay audits have often suggested we don't. 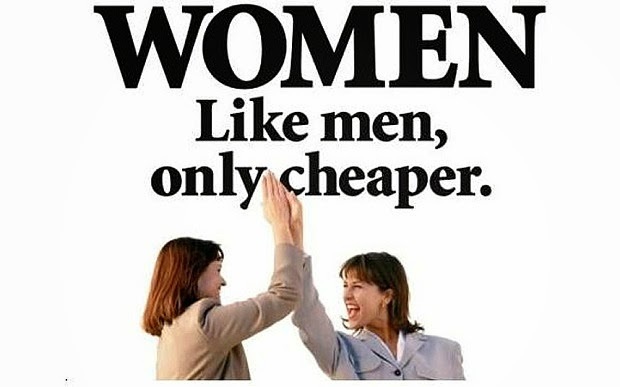 You can see that in the higher proportion of women who want salaries to be revealed (see this Telegraph article). Now the gender pay gap is a complex issue based upon a large number of factors, not just transparency, e.g. time off for maternity leave (though Shared Parental Leave should reduce the impact of this here); women often being more considered about their careers; men more often being excessively confident about their expectations; and the impact of a huge dollop of bias, etc - but lack of transparency certainly doesn't help. Bt the way, if you think you might want to implement a more transparent approach within your own organisation give me a call. 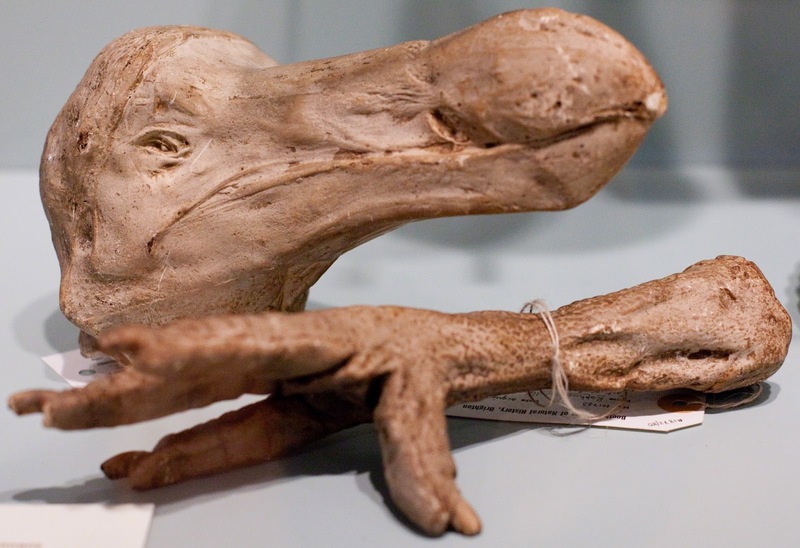 And a clue - you don't do it like this! One of the tweets at the Enterprise 2.0 Summit in Paris a few weeks ago was about the need for digital / social business to be seen holistically, and it suggested that the McKinsey 7S model does the trick. Not for me it doesn't. 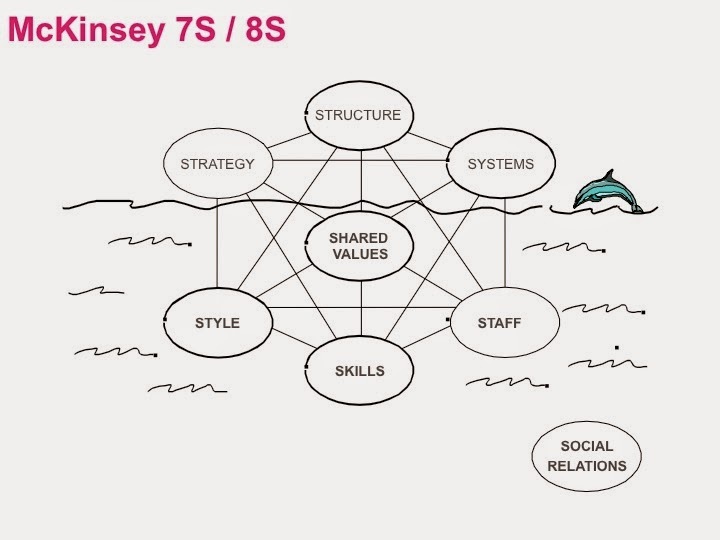 I was never totally happy with the 7S model even when I first started working with it whilst still fairly new early on in my career (I remember McKinsey were promoting the recently published In Search of Excellence at the milk round careers fairs I attended.) But it's now feeling very old and tired. McKinsey after all probably do more research on social businesses than any other strategy based consultancy - so I wouldn't want to suggest the importance of social is something they're not aware of! 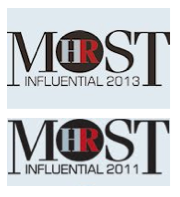 And it was interesting to see this model which includes social relationships in HR Magazine this week. The vertical axis of the organisation i.e. 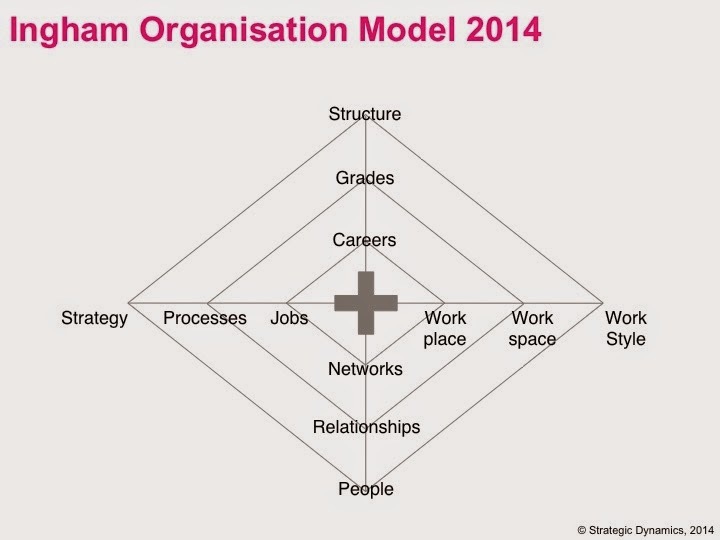 organisational layers, which are also an even more important consideration today given pressure on hierarchies. Workplaces and workspaces (facilities and IT) which are increasingly as important for people as the organisational structures they work within. However I don't include values or deep aspects of culture as I think these provide one of the inputs to the design of a particular organisation and need to be reflected in the governing organisation principles which shape the design, not part of the design itself. So I've had a number of plays with this organisational model over the years - particularly when I'm consulting on OD, or providing some development (for example my OD training for Symposium in the UK). These are what I've been using over the last couple of years (I like the elements of the model but have still never been happy at the connections between them. "The way you think about an operating model influences the factors you focus on and the way you analyse... My experience tells me that you need to develop these frameworks to suit the situation rather than use a standard framework for every situation. Since the framework biases your thinking, you are better with one that emerges out of the situation than one that you impose on it. This means that you should have your own starting framework, like my PILOS model, but be enough aware of the many other frameworks that exist to be able to tailor one for the situation you are in. This is definitely a black belt skill rather than a beginner’s skill; but I do meet very experienced people who insist on arguing that there model is best." The model is structured on a typical design approach with main building blocks towards the top, supporting elements in the middle and detailed reporting lines at the bottom. I've been thinking quite a bit about trust this week. Firstly it's been coming up at a couple of conferences I've been attending virtually eg at the HR Directors Business Summit helping the Red Arrows to work as a team, but more substantially at the Enterprise 2.0 Summit in Paris as the main basis of the collaborative relationships we are trying to create. Plus of course I've been blogging on trust following my presentation at the HRPA conference a few weeks ago including the recent Edelman Trust Barometer results. 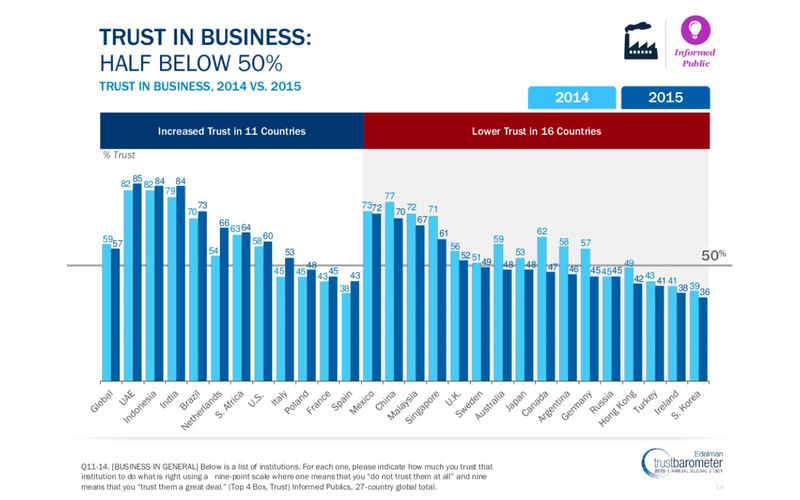 I mentioned that trust in Canada has plummeted this year but it's fallen all around the world. Again. And I've been thinking about trust in the context of my own business. Next year will be my tenth year as an independent consultant and portfolio worker. So I was interested in the RSA's conference on self employment this week. Speakers and tweeters at this event expressed some concern about the proportion of people working on their own for low pay levels because they've been squeezed out of the main economy, and because in general these people don't seem to invest much in their own development. For me, I'm doing pretty well these days and am certainly investing more in my own development than any of my previous employers ever did. My main issues tend to be things like lack of IT support when things go wrong. Oh, and doing my own accounting, though that's my own (dumb) choice I suppose. And the fact that my whole business relies on trust. I try to contract with my clients carefully - in terms of really understanding what we need to achieve together and how they want to work with me. This helps me ensure I deliver what my clients need. I tend not to use legal contracts unless my clients need them as I don't think they actually deal with what is normally important. And depending upon where my client is around the world, I think taking action if things go wrong can be more trouble than it's worth. Plus I prefer to focus on making things go right than worry about what will happen if they don't. Not too bad for nearly ten years experience I suppose and I'd still rather trust people and take the hit when I find that trust isn't deserved, that not to trust people to begin with. But I can see what people increasingly find it difficult to trust as well. 'Interestingly,‘professionalism’comesupfairly frequently in HR but there is actually very little that has been written about what ‘professionalism’ means for HR professionals. I think this is a really interesting idea, and a potentially important one. I’d also prefer to see standards focused on our professional behaviour than on the technical aspects of doing HR. The opportunity but also the challenge in doing this is professional behaviours gets to the heart of what it means to be in HR - eg are we about the business of HR being business, or making the business of business into HR. Dave Ulrich’s outside in perspective suggests the former but I think it’s wrong. So do you, apparently. I doubt Mark Efron will not have been impressed by these findings but I am. Helping people grow and development is the art of HR, the heart of our profession and this is this is what we need to develop and spread.
' “Part of the problem is we don’t have a business language of HR,” said Cheese, pointing out that even regularly used terms, such as headcount, have no common definition. It's interesting to see tonight's #Tchat returning to Ram Charan's intervention last year as well (see my comments here.) To me, if all we do is see ourselves as in the business of business, and use the language of current business i.e. Finance, then we can't complain when we do get taken over by Finance as what's the point in us. We need to create a new language of people and ensure the business is in the business of HR. Then we've got something special to contribute and our businesses will be in a much better state as well. 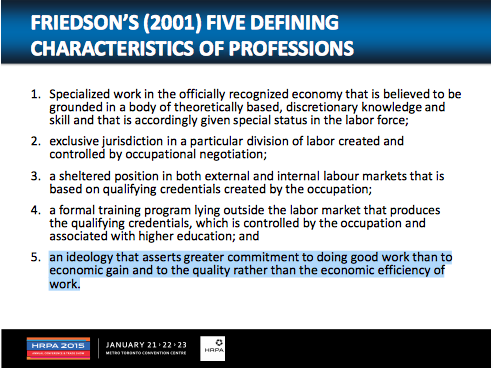 It's this that needs to be the basis for increasing moves towards confirming our professionalism. If the business of business is HR then I suppose we can say that the business of HR is business, but then we get into a loop which suggests that the business of HR is HR which isn’t very useful. To clarify this, I suggest the business of HR, or at least future-oriented ‘new HR’ is developing the right connections, relationships and conversations, or generating social capital. This was the focus of the other session I presented at the HRPA’s annual conference in Toronto. As before, I updated the session at the last minute based upon a couple of tweets I’d seen that morning - one was on TalentCulture discussing the role of love which I was able to work in quite easily as I think love is one of the highest forms of social capital. The other addition was on the importance of hugs as it was apparently National Hugs Day although I wasn’t sure which nation this referred to - the UK, US or Canada, or perhaps North Korea using social media to start a new global breakout of ebola. 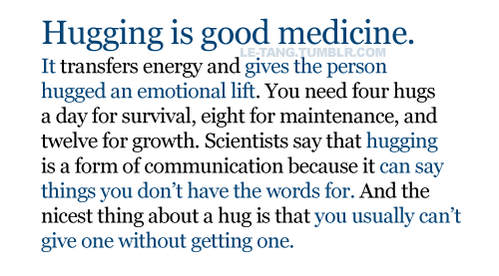 But I think hugs are part of the new HR as well. I can’t quite bring myself to refer to love and hugs as the business of HR in the title of this post but I do think an organisation where HR, and the rest of the business, invested in love and hugs would result a rather special as well as healthy and productive workplace. Canada is quite a huggy place I found out later - eg see this post on the conference site by Bonni Titgemeyer. 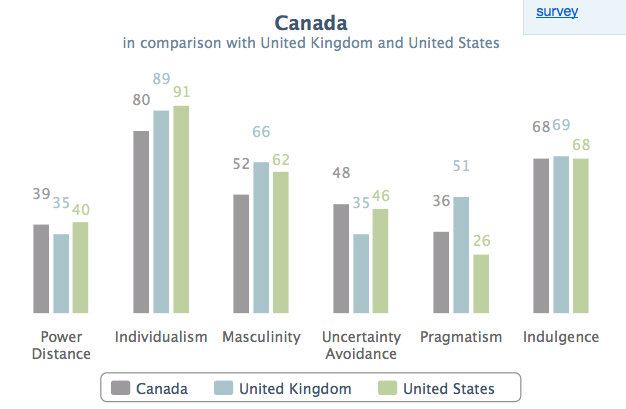 That would seem to be supported by lower individualism and masculinity scores than the UK or US in Hofstede’s analysis of national cultures. I wonder whether this one was reason why the conference felt so special - but what was behind the huge fall in trust in business (62 to 47%) in the Edelman’s Trust Barometer there this year? I also talked about this idea about HR not being a support function, or at least not just a support function, at the HRPA conference a few weeks ago. Like any conference, any individual's experience will depend upon the sessions they have attended, but my impression based upon the keynotes, and the syndicates I selected, was that this was a particularly 'human' (HCM / Creating Value / Artful HR etc) HR conference - not on the scale of Art of HR of course, but still at the opposite end of the spectrum to HR Technology in Las Vegas. I thought this focus was a bit spoilt, however, by the HRPA's President referring to the conference theme, 'the business of HR' by suggesting the business of HR is optimising the business itself. To me, that's only part, and not the most important part, of the story. There were a couple of people in the audience who could provide examples of my third face so I think the breakdown resonated for people. As I quite often do I tried to inject some other topical content into the session which included Joe Gertstandt's thoughts on the importance of psychology, sociology and anthropology (something I've mentioned before as well.) It's not that we don't need skills in finance, analytics but we need to be able to do the more artful stuff as well. It's just one more HR paradox to add to the longer list which Dave Ulrich has been suggesting today. You can see my slides and should hopefully be able to follow my argument here! And it was interesting to note that this was actually the basis of a short debate with Kris on his HR Capitalist blog a few years back and I talked about this in the session too (since I think quite a few people were there to see Kris). 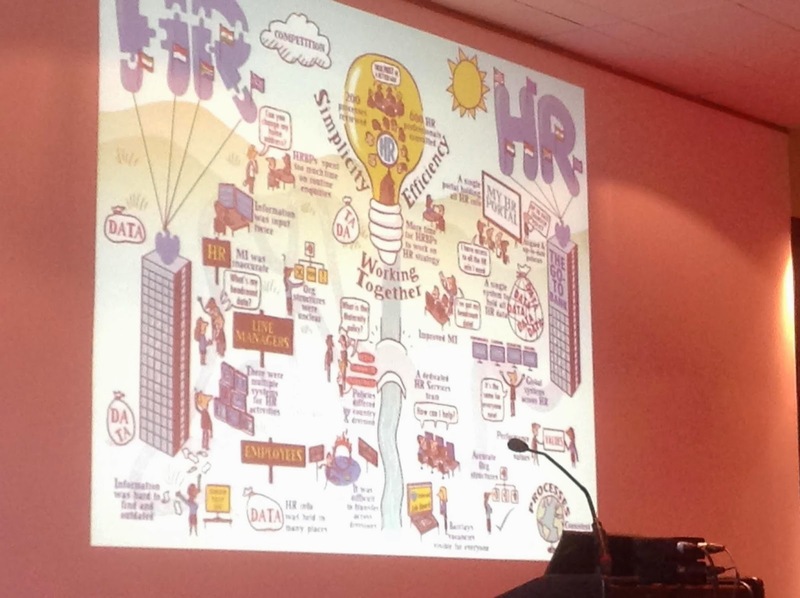 Dave Ulrich seems to be going down well at the HR Director's Business Summit in Birmingham today, as he did at Artof HR in Croatia. But his ideas are still being knocked in many places. 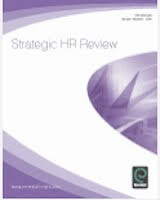 "HR remains reactive, procedurally focused and transaction-oriented." Yes well structure (alone) isn't going to change that and may be if people acted on rather than just listened to Ulrich's advice we'd all be in a better place by now. "When HR can’t explain its own transformation to the rest of the business, the idea of an HR business partner is dead in the water." As it, and hopefully the HR function concerned, should be! "The business partner role is best suited and most effective in larger organisations." 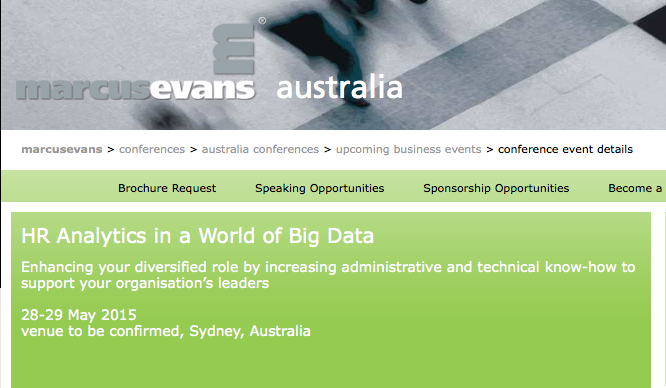 Yes of course, it was always designed for complex, multiple business unit organisations. Other comments are more relevant eg the suggestion than business partners come from the line, as with Ram Charan’s suggestion. Though I still think the suggestion is wrong headed. After all, another key principle of effective business partnering is that the HR structure need to match your HR vision. Much of our problems come from an inappropriate vision, not an inappropriate structure. If that’s how you see your job then that’s going to indicate a particular type of HR structure and I can understand why taking HR from the line is probably going to be a part of it. There's nothing wrong with understanding the business strategy of course (other than the question still needs to be asked) but the key word in the above paragraph is 'supports': "whether you understand business strategy and how HR supports it.” Did you spot it? This is still the big problem in HR - we define ourselves as being a support function. We're not, or at least shouldn't be, but then if we believe we are, we'll act as if we are, and we shouldn't be surprised when we remain reactive, procedurally focused and transaction-oriented!" Of course the word support could just be a slip of the pen, but I think it tells a deeper story.